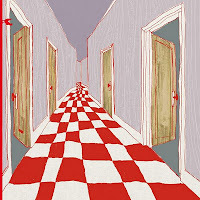 You can comment on the choice of putting the four following albums in one review, but they all have something in common apart from being played by a sax-bass-drums trio, and that is their musical warmth and their cosy exploration of the known, doing their own thing, with character while remaining accessible. None of these albums will alter musical history, but that is also not their ambition - yet they are highly enjoyable all the same. I knew tenor saxophonist from his album "The Cave", but that's about it, and I heard drummer Jimmy Weinstein from his quartet album "The Ocean", with Satoko Fujii. Here they are joined by Stefano Senni on bass for what is a true trio album. The music is as gentle and warm as it is free and improvised. There is no sense of urgency, no need to make noise, just calm elaboration, intimate and velvety interaction, the modern equivalent of the sixties cool jazz sax trios. The entire album was recorded as one go, with no preconceived plan or melodies, in the sequence presented here. There is nothing spectacular about, and equally nothing that goes against the grain. Nice work and enjoyable. Altoist Greg Ward has an warm buttery tone that places him in the same league as Matt Renzi, also keeping his playing to the mid-range of his register, but his approach to music is more nervous, more complex, and obviously composed, at times moving into the musical space carved out by Rudresh Mahanthappa and Steve Lehman. The real attention-grabber is Damion Reid's drumming, whose agitated hyperkinetic drive and power is often in stark contrast to the gentle playing of Ward himself and Joe Sanders on bass. 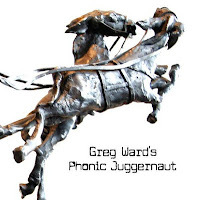 The overall result is also nice and enjoyable, with some interesting moments, but it is not the "juggernaut" that will crush and destroy ... you will survive the listening experience. 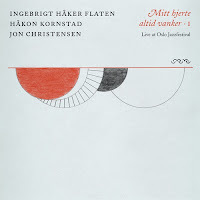 Now that we are in the area of modern jazz and the more gentle approach to sound, fans will also appreciate this nice Norwegian trio album by bassist Ingebrigt Håker Flaten, saxophonist Håkon Kornstad, and drummer Jon Christensen. 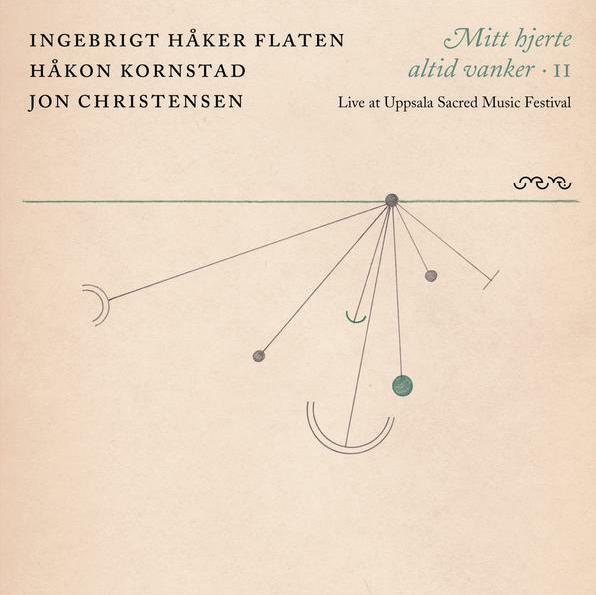 Apart from the first track, "Death And The Flower" by Keith Jarrett, with whom Christensen collaborated in the past, the other compositions are improvisations based on Norwegian folk songs, but then played in the same post-boppish mode that flows almost naturally in the wake of the opening piece, and gradually open some more adventurous explorations yet without alienating the enthusiastic audience too much. The recording was made in Oslo in 2009. A great and heartwarming album for cold winter nights. Interestingly enough the trio also released a second album that continues the same approach, now performed live in Uppsala, Sweden in 2009. Three of the compositions are identical as on the previous album, but the overall sound is different, much closer, intimate and confined than the resonating space of the Oslo performance. 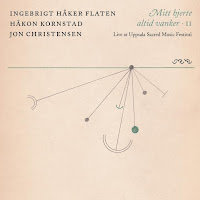 The first and last track are a traditional folk song that Håker Flaten's grandmother used to sing, and which is also figuring on "Elise", the first in a minor key, the second version in a major key, as it was originally sung. Again, what can I say? 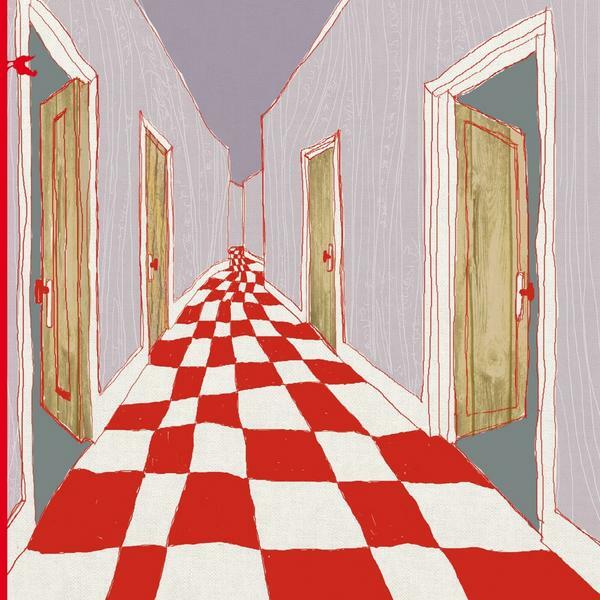 .... A great and heartwarming album for cold winter nights.